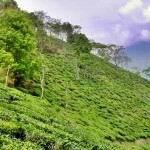 Places to see in Dilaram: Lush green tea gardens surround Dilaram. 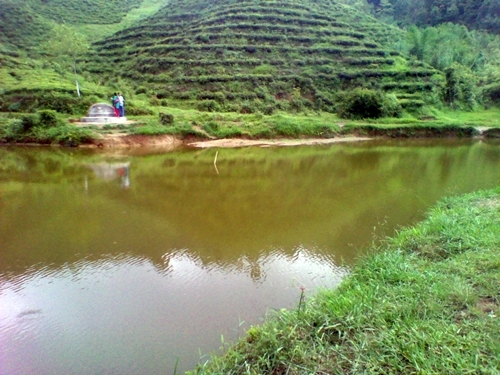 Here, you can pluck tea leaves or just watch the daily activities of the tea plantation workers. There is also a nearby Hindu Temple of Lord Shiva with a unique feature. This age-old temple has a stone carving of the Buddhist Guru Rimpoche – it is a perfect example of communal harmony. Nearby attractions of Dilaram: Bhanzang Salamander Lake, which is the natural habitat for the Himalayan Salamander is just 10 kilometers from Dilaram by road. The emerald lake, tucked within the endless stretches of tea gardens and forests is a sight to relish. 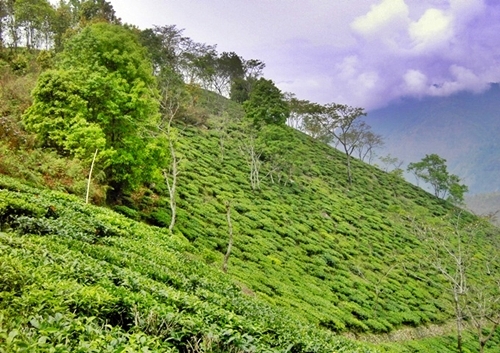 You can also visit the famous Margaret’s Hope tea estate, which produces some of the finest tea varieties in the world. Sitong – the orange village, the forests of Chatakpur, Balasun Tea Estate, Chimeny, Bagora and Kurseong are all located within 10 kms of Dilaram. You can also visit Mirik, Rangbang or Darjeeling in a day trip from Dilaram. Things to do in Dilaram: Take a walk in the lush forest of Magnolia, Chestnut and cardamom plantations surrounding Dilaram. Bird watching is another activity you can undertake. Dilaram is surrounded by tea gardens and you can take a tea garden tour and visit a local tea factory to see tea processing. You can also pluck a few handfuls of tea leaves if you want. A village walk around Dilaram to watch the daily chores of the villagers can also be rewarding. 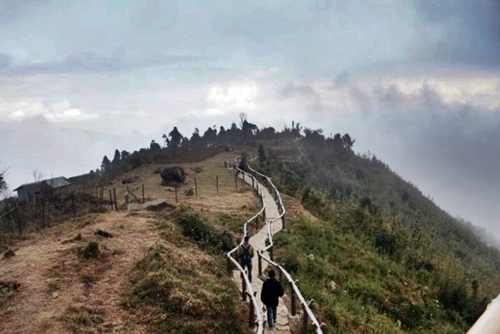 For the more adventurous, a full day trek can be organised to nearby Chatakpur View point. The trek passes through dense Cryptomere forest and small hamlets. Trekkers would experience a varying vegetation as the elevation changes. The sight of Mt. Kanchenjungha range and its adjacent valleys and hills from Chatakpur watchtower is breathtaking. This trek is very rewarding to bird watchers. Best time to visit Dilaram: The winters bring lots of birds and butterflies to Dilaram. Treks and peak watching can be best enjoyed during winters. Snow covers the Sandakphu Hills in the distance and the sight is awesome from Dilaram. However, the monsoons cover Dilaram with lush greenery and it is one of the best destinations of Darjeeling Hills to watch the rains on the Himalayas. How to reach Dilaram: The little village of Dilaram is 45 kms from Siliguri and 8 kms from Kurseong. You can always hire an exclusive car from New Jalpaiguri / Bagdogra / Siliguri to Dilaram. You can also take a shared car to Kurseong and then hire a local taxi to Dilaram. Local taxis also ply from Darjeeling to Dilaram. Lodging and dining facilities in Dilaram: There is a lovely luxury homestay in Dilaram. 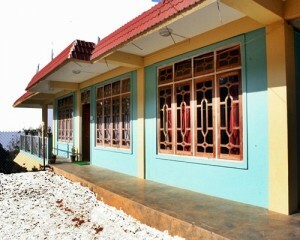 The wall-to-wall carpeted rooms of the homestay are very spacious with attached private balconies and western bathrooms with hot water geysers. There are open spaces for kids to play, a garden, a private forest and all modern amenities for the guests to feel cozy and comfortable. Few other facilities include 24 hrs hot and cold water and 24 hrs power back up. The home stay serves standard Indian cuisine and various Gorkha local cuisines where the guests can also practice and prepare the delicious local dishes with the family members at their kitchen of the home stay. Photographs by Bishal Khambu Sampang and others.